Smooth Soul and Rock’n’Roll grit play tag in the vocals of Jeffrey Gaines. Backing his emotional delivery are a solid backbeat and the relaxed rhythms of Alright, the latest release from the Philadelphia, Pennsylvania-based singer/songwriter. The songs of Alright have clear Pop sensibilities, the melodies flickering around stories of self-realization (“Seems to Me”) while the percussion snaps and pops under a mountain of regrets (“Bjorn Toulouse”). 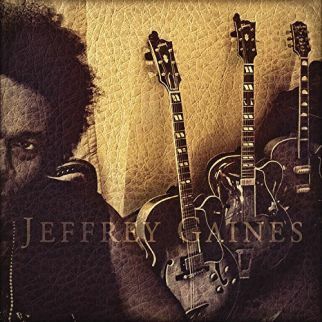 Growing up in Harrisburg, Pennsylvania, Jeffrey Gaines was schooled in equal parts classic Soul from his parents record collection and Brit Rock New Wave from the radio. 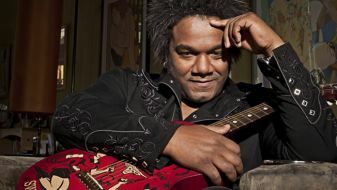 Launching into a career with a well-received 1992 debut, Jeffrey Gaines recorded and released albums through the decade, ending the cycle in 2003. After a recording hiatus, Jeffrey Gaines returns in stride with Alright, the easy mood of the album aligning with a perspective that Jeffrey sees as ‘nowadays, I know what the job is about, so there’s nothing to stress about’. Alright surrounds hopes for a little love in the nighttime with Folk Rock jangle in “Firefly Hollow”, confidently walks an assured beat into “I Will Be”, and snaps back to Elvis Costello-era 80’s Rock’n’Soul with “Promises of Passion” as Jeffrey Gaines spreads Country Rock tones over “Thick and Thin” and drifts into memories of youth on lightly picked notes for “Children’s Games”.